Staying stylish and comfortable while you workout out is no easy feat, but the friendly team at Action Gear will have you looking good and feeling great in no time! To get the most out of your workout, it is important to feel supported and comfortable, and our large range of products is sure to please. We understand top-quality fitness gear can be expensive, but we are passionate about keeping our costs low on our entire range that allows you access the best quality gear. Come in to browse our wide range today and you may be shocked at just how affordable it is to look great while exercising! Just one stop at Action Gear and our friendly team will have you dressed in practical and comfortable fitness gear that will have you noticed for all the right reasons. Although FKN is new on the gym circuit, it has already gained a great reputation for its edgy styles and comfort. Bursting onto the scene in 2010, it didn’t take long before the brand was noticed and endorsed by six-time Olympian, Dorian Yates. This brand includes great designs for both male and female fitness fanatics. The popular brand’s attitude towards training is “Get in, get it done, no excuses, just FKN LIFT”. 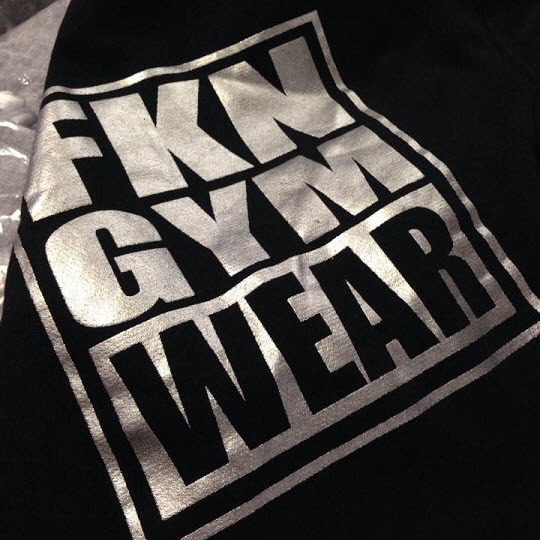 Although initially designed for weight lifting, FKN Clothing now includes gear that is also perfect as trendy casual wear. For all of the latest styles in the FKN range, come into Action Gear in Launceston today! Black and Blue styles are legendary in the Australian gym world. Designed and made in Australia, Black and Blue gear is innovative and fashionable. Their designs are based around stylish trends, which provide comfort and wearability for a high-performance workout. For the latest range of Black and Blue fitness gear, come in and browse our range today! Action Gear is situated opposite Kmart at 57 Boland St Launceston, where you’ll find convenient free parking. If you can’t make it into our store, feel free to give us a call. We know women come in all shapes and sizes, and we cater for that. We concentrate on ensuring each of our collections have a flattering fit on the body, to make women look and feel good about themselves. Running Bare will deliver a point of difference to you from season to season, with fashion forward silhouettes, print infused pieces and as always, plenty of colour! We Just Love Running Bare! 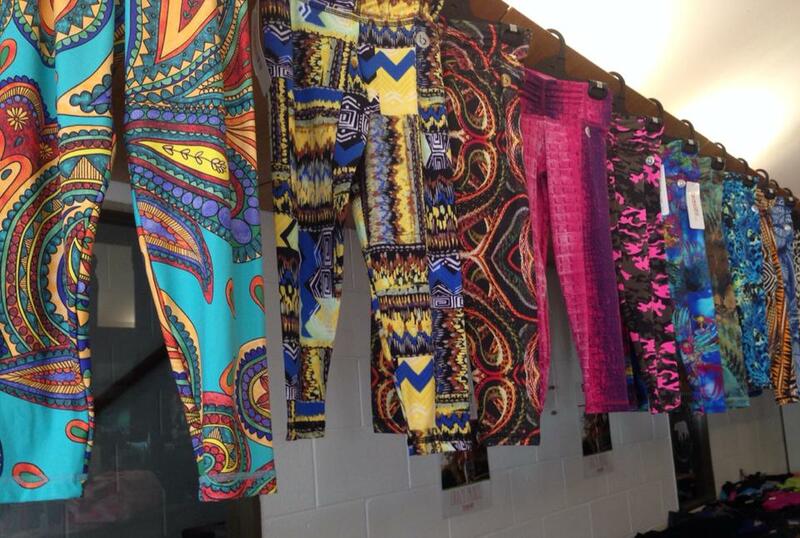 Amazing range of tights in amazing fabrics, colours and designs. All original one off designs, these you have to see and feel to believe. Drop into Action Gear Launceston to see the range in stock.